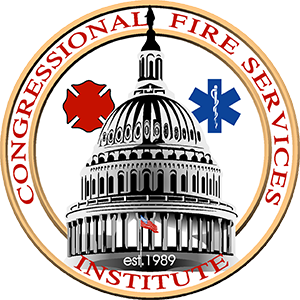 The Congressional Fire Services Institute (CFSI) has just released the seminar schedule for the 2016 National Fire and Emergency Services Symposium, held in conjunction with the 28th Annual National Fire and Emergency Services Dinner, on May 4-5, 2016 in Washington, DC. It’s just three months until the most important event in the fire and emergency services: The 2016 National Fire and Emergency Services Symposium / 28th Annual National Fire and Emergency Services Dinner in Washington, DC on May 4-5, 2016. On Friday, March 18, 2016 CFSI will host its annual “A Night at the Rink,” sponsored by the National Fire Sprinkler Association. On Tuesday, February 9th, the White House released the Administration’s Fiscal Year 2017 budget proposal, the final budget of the Obama Administration. The $4.23 trillion budget contains $40.6 billion for the U.S. Department of Homeland Security. On Tuesday, September 22nd, Congressmen Tom Reed (NY-23) and James Langevin (RI-2) introduced H.R. 3591, the Fire Sprinkler Incentive Act.